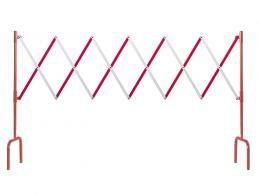 Expanding scissor barriers are an excellent and portable way to create separation between multiple areas in both commercial and industrial scenarios. Whether they’re being used to block pedestrian traffic from slipping on a wet floor or temporarily keeping foot and vehicle traffic from a specific area in a factory, expanding scissor barriers can get the job done. 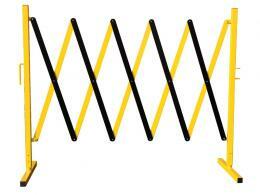 These barriers can be easily moved from one place to another as they’re easy to fold up and light weight. 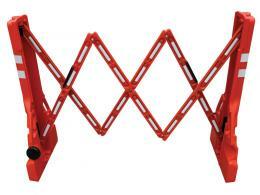 The Workplace Depot’s line of expanding scissor barriers are well built and made of high-quality plastic and metal materials so they can be counted on to last for years to come. 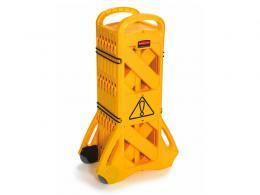 The Workplace Depot has a wide variety of types and sizes of expanding barriers in order to have every scenario covered. 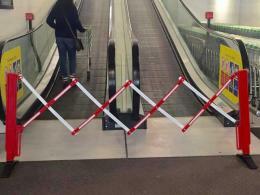 Whether you need to block off a large doorway in a commercial environment like a mall or retail store, or ensure pedestrians aren’t injured while navigating around construction on a pavement, expanding barriers are a great solution. They come in a variety of colours of plastic as well as metal, so there’s a level of durability suitable for every situation. 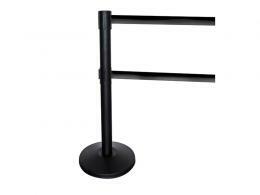 Retail, food services and a variety of other commercial businesses rely on expanding scissor barriers to ensure the safety of their commercial environments. They ensure that the public is properly separated from any work, cleaning or other activities that could pose potential danger or harm. Industrial companies use portable expanding scissor barriers because they’re easy to relocate and set up at a moment’s notice. They allow facility managers to create safe areas quickly in order to maintain safe working environments for their employees. 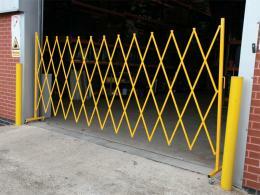 These barriers have a 1 year parts and labour warranty and an easy exchange and return policy. They also come with free delivery within 5 business days and a price match guarantee, which ensures you’re not only getting the best service, but also the best pricing.